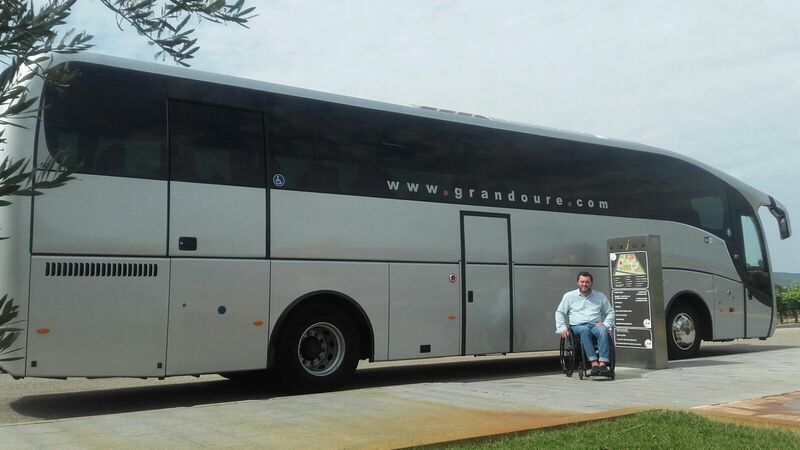 In Grandoure we are dedicated to the rent buses and minibuses in all Spain. We have two offices in Madrid and Valladolid and we give Budget Online. We are specialized in City Tour in Madrid, Adapted Transport, Tours in Spain, Airport Transfer and VIP Services. 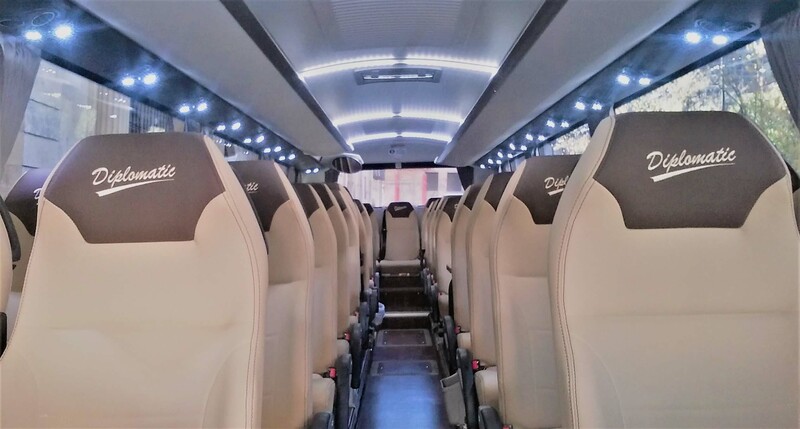 For this we have a fleet of more than 25 coaches and minibuses with driver, with capacities ranging from 16 seats to 55 seats. Our activity covers all types of travel and travel: Tourist Tours, Corporate Trips, Airport Transfer, Dinner , Weddings, Visits Wineries, Weddings, Excursions ... We also carry out school transport services, school transport adapted for PMR and routes à la carte for workers of any company. We offer a personalized offer for each client, such as our minibus rental service for transfer to Barajas Airport (Madrid), so that your transfer to the airport is more comfortable and cheaper. We also offer services to travel agencies, companies, Public Administration, individuals, schools and associations. CONSULT US WITHOUT COMMITMENT! Dinner Services, Winery Visits or Day Trips. 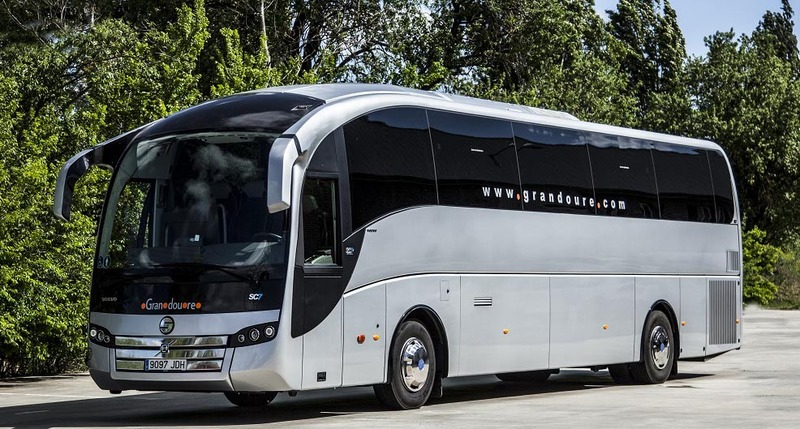 Rent your Coach with Us - Ask for a Quote. Check the approximate capacity of the coach or minibus we give you. Are you getting married? Do you want to celebrate a farewell trip before the wedding? We give you a price without obligation. We offer you a comfortable and safe way to make the transfer to the hotel from the airport or the other way around. Check what they think of us after renting a coach or minibus. How much does it cost to rent a bus with driver? We Give You Price Online. 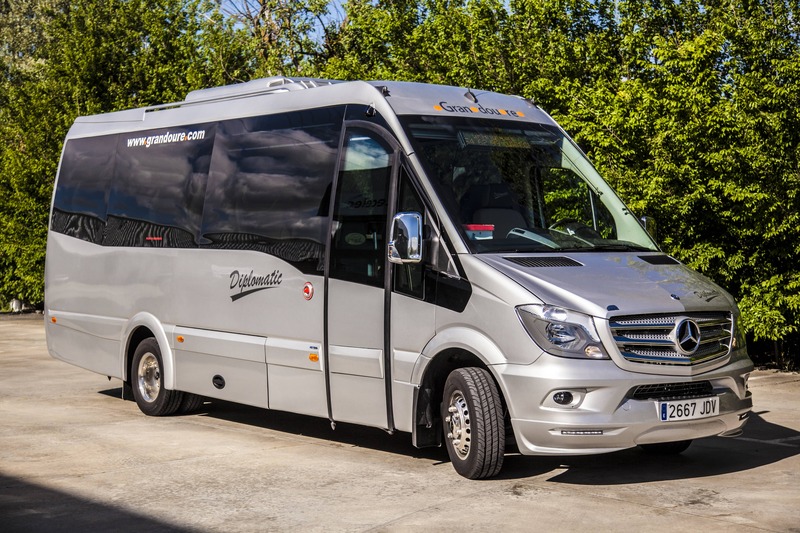 We emphasize that we are a minibus rental company with driver because there are many of you who ask us about the possibility of renting a microbus without a driver. In Spain, legally speaking, you can only rent a minibus without a driver if it has less than 9 seats. So even if you have the "D card", necessary to drive coaches, we can not offer you the "driverless" option. Reason why all our budgets include the driver, as well as their expenses (meals and hotels if they are necessary). In this way you can fully enjoy your trip. Without having to worry about planning the road route. 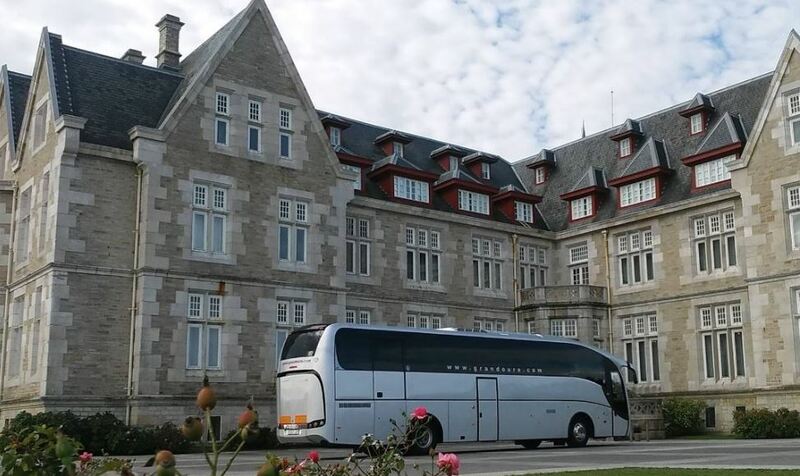 Seas una Empresa o un Particular hay Eventos Especiales en los que Necesitas un Transporte a la Altura de las Expectativas. Gracias a Nuestra Amplia Flota de Autobuses y Minibuses. Y a la Profesionalidad de Nuestros Conductores, podrás Disfrutar del Evento sin Preocuparte por Nada. 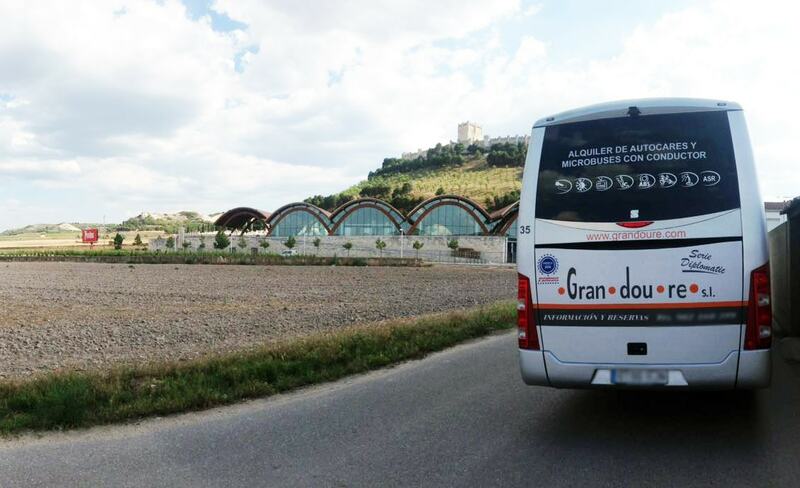 Te proponemos disfrutar de una Ruta en Minibus por la Ribera de Duero. Podrás Visitar y Degustar los Vinos de Varias Bodegas o Visitar solo una en particular. Un Turismo Enológico que cada año gana más adeptos. Are you thinking of Renting a Microbus in Madrid? , Do you want to do a Tour in Spain? , A Transfer to the Airport? O Do you have a Travel Agency and want to Rent a Bus? We help and advise you on your trip. With our tool we give you an estimate immediately, but if you want a personalized treatment or have a complex itinerary contact us (email, whatsapp or phone) WITHOUT commitment. We have a large fleet of minibuses and buses to suit your needs. With more than 20 years of experience in the rental of buses and minibuses, we have had the pleasure of working with recognized companies in Spain. That they have entrusted us from a transfer to the airport of Madrid or Valladolid; until international and national tours of cultural, idiomatic or religious character. We also carry out regular routes for Predif and Aspaym with adapted buses. And we are partners of the "Ribera del Duero Route". The cookies settings on this website are configured to "allow cookies" and thus offer you the best possible browsing experience. If you continue to use this website without changing your cookies settings or click "OK" you will be giving your consent. You can check our "Cookies Policy" at any time.